I’d already visited Thailand as a backpacker years ago but this time I’d decided I was going to do it in style. Actually, we were supposed to be doing it in style, but recent events had changed all that and now I was going it alone. As I skipped the hoards of travellers haggling the equivalent of two dollars from their taxi fare, I met my driver and wondered if I should just take my thoughts and head back to reality to sort the mess out. Then again, what difference could a week make? We pulled up at the Metropolitan an hour later, after navigating through the bustling Bangkok roads lined with street vendors and temples, interspersed with the occasional tributes to the ever present King Bhumibol Adulyadej, as much revered in Thailand as Cheryl Cole in the UK , and I was shown to my room – which itself was fit for a King. I’d arranged to meet up with a friend now living in Thailand and luckily I’d slept well on the flight so after a quick dip in the huge limestone bath I got dressed and met him in Cy’an, conveniently located in the hotel. It had been a couple of years since I’d seen David so we caught up on everything that had happened in our lives – from the break up of my latest relationship to his understanding of Thai politics. I was starving so I devoured my meal and we headed to the Met Bar for a quick drink. I couldn’t stop thinking about whether Bangkok had always been this hip, or if I’d just missed by Lee McVeigh out first time round by hanging out in the backpacker ghetto of Khao San Road imagining I was Leo in The Beach. 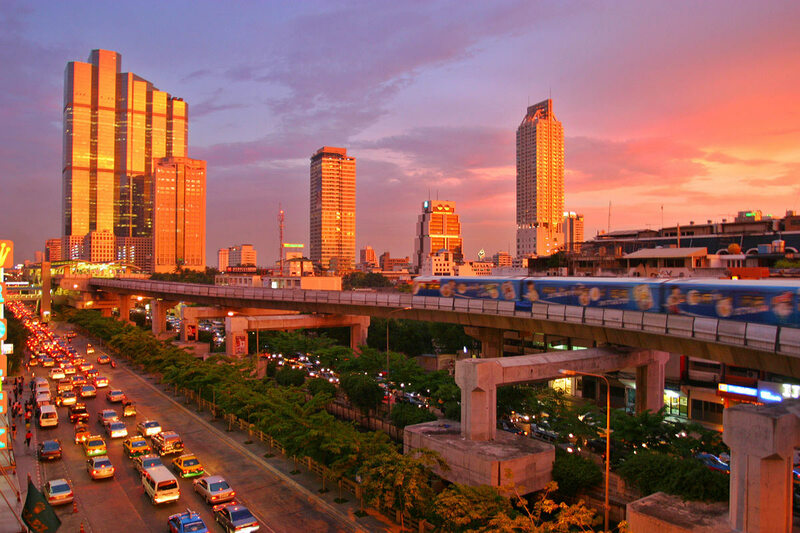 Either way I was discovering a side of Bangkok that wouldn’t seem out of place in New York or Sydney, yet still had that distinctively Asian feel, and Bangkokians sure know how to have a good time. David and I headed out to the bright lights to see where the night would take us. Whether I was drowning my sorrows or toasting my newly found singledom, I still wasn’t sure, but after a few too many Mai Tais, a very questionable club (some things never change) and a hair raising tuk-tuk ride I eventually passed out on the huge bed, realising it seemed a lot bigger now I was on my own. My first full day in Thailand was slightly marred by the hangover from hell, but a quick trip to the hotel spa for one of their famous COMO Shambala massages soon helped. 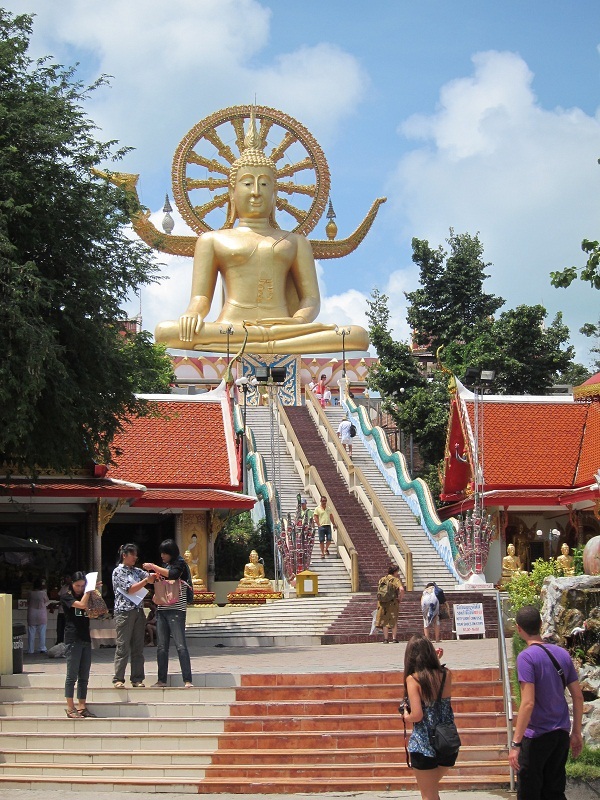 As I relaxed by the pool I was actually glad I’d backpacked my way around the tourist trail as it meant I could skip the obligatory visits to the Golden Temple, Wat Pho and floating markets without feeling too guilty. Plus, I had a flight to catch. Three hours later I arrived in Koh Samui, an island about 700km from Bangkok – but in reality it felt like another universe. Actually, this could possibly be heaven. I checked into my page at The Library (a hotel so unique there aren’t rooms, but pages). We were meant to be staying at the Six Senses Hideaway, but now that ‘we’ had become ‘I’, a week in a private Pool Villa with just my thoughts for company seemed a bit daunting so I decided to stay somewhere a bit more in the thick of it. At least this way I could distract myself by popping to Chaweng or grabbing a book or movie from the LiB (I suppose calling it The Library at The Library could get confusing). I had booked seven nights here and decided almost immediately that for at least five of them I wasn’t going to do much at all. After being mesmerised by the blood-red swimming pool, I found myself a sun lounger under a scarlet parasol and started my first book. This became my daily routine, with a casual lunch at the funky beachside bistro, an array of Thai delicacies for dinner and awe-inspiring sunsets thrown in for good measure. I know there were more pressing issues I should be thinking about but only one kept coming to mind; had I found paradise? On day five, I turned the last page of my third book as the sun went down over the ocean, and I retired to the crisp white sheets of my minimalist and modern suite. I knew I was ready for the following day. I had a date with Samui. After a quick dip the following morning, I grabbed a cab and headed to see the Big Buddha on Bo Phut beach which, despite being a bit of a tourist trap, was pretty cool. Then I headed for some elephant trekking and decided to end the day with a Thai cooking class. That was an experience to say the least, and although my Thai curry didn’t quite match the standards of the restaurants I’d tried around the island – I was quite proud having created dinner from scratch, albeit with the help of a slightly hilarious but experienced Thai lady. 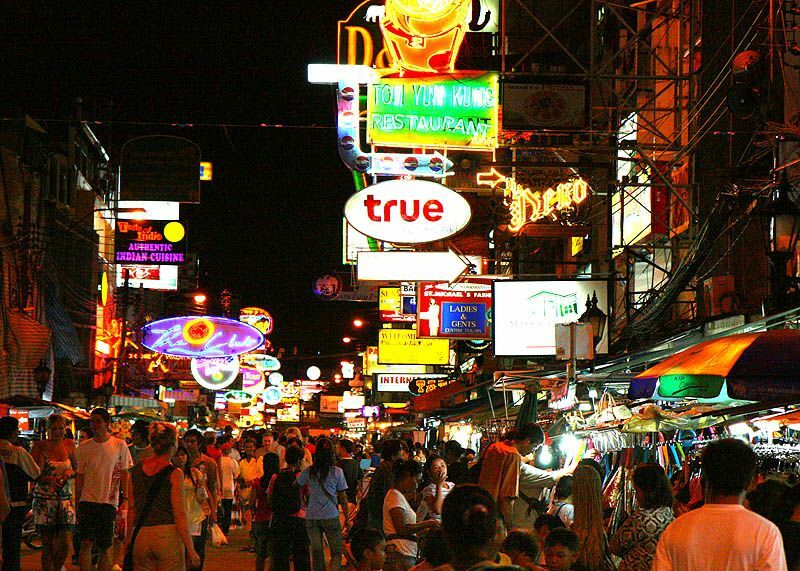 That evening I decided to check out Chaweng, the main road in Samui lined with bars, restaurants and shops. It made a nice change to be somewhere a bit livelier but I couldn’t help thinking the reason I was in Thailand was to escape normality, yet here I was surrounded by Burger King, Starbucks and Brits on holiday. After a bit of people watching with some cocktails at a roadside bar, some bartering for souvenirs, and agreeing an obscenely low price for a bespoke suit, I decided I’d had enough. I headed back to my paradise by the beach and listened to the waves lapping the shore while some music played faintly in the background. With no book, no hawkers and no iPod to distract me I found myself thinking as I gazed up at the stars. I’d come here to get over a break up and yet I’d fallen in love again quicker than I ever could have imagined. I knew how tricky long distance relationships were but I was already planning my reunion with Thailand. When it comes to holidays, sometimes only the very best will do. 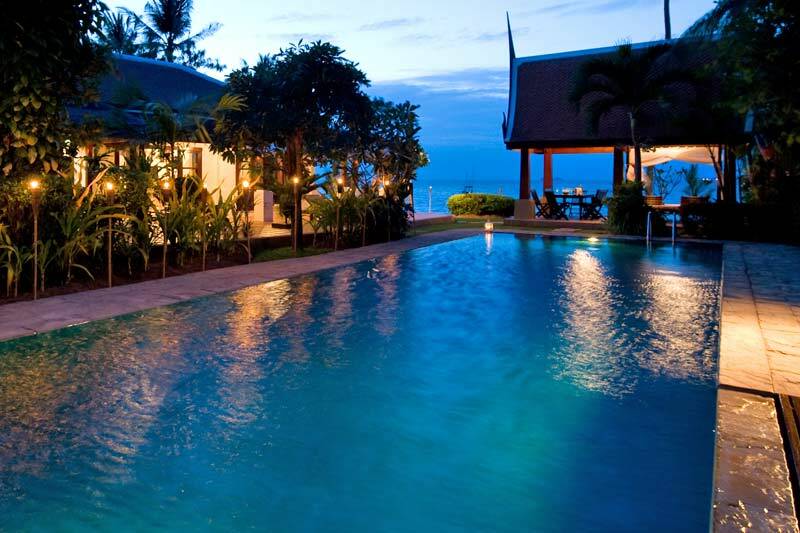 For great deals on luxury hotels in Phuket or luxury holidays contact a VHip Travel Guru today! 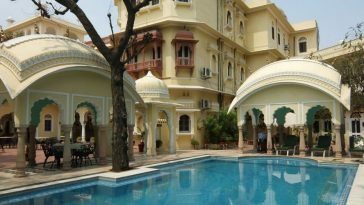 Visit www.vhiphotels.co.uk or call 0844 573 2460. I absolutely love your photos! 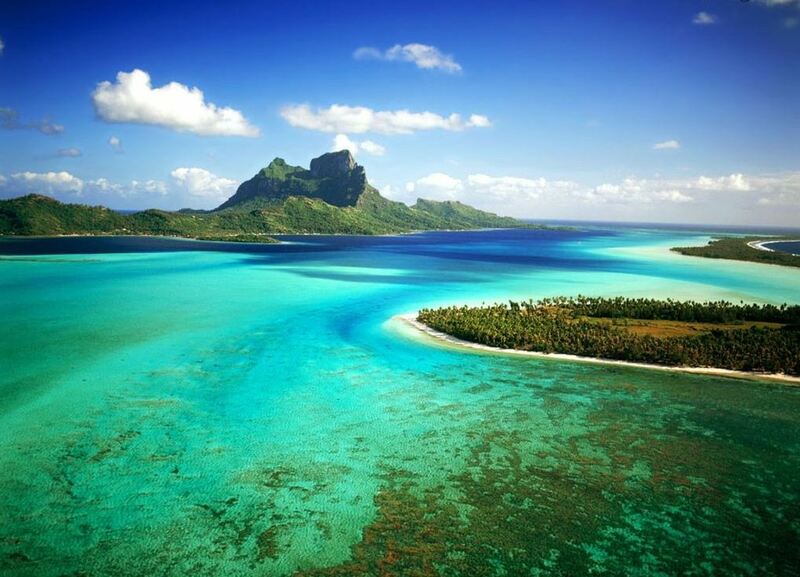 You've done the island real justice – it looks beautiful.